A journalist by trade, Rachel worked in the kitchens of Marco Pierre White, Heston Blumenthal and Peter Gordon before moving into food writing. She has written two books encouraging us to eat more veg: Less Meat, More Veg published by Kyle and FIVE published by Ebury. A lifelong supporter of home-grown, local, organic food, she became Head of Food for the pioneering organic box scheme Abel & Cole, where she still plays a role. Rachel has also helped set up numerous local food initiatives, including the award-winning Crystal Palace Food Market and the Market Table. She currently teaches Preserves at River Cottage HQ in Devon, wild food cookery at Made in Hackney and is a contributing editor for both Locavore magazine and the Green Guide. Her passion and expertise lies in sustainable local food. 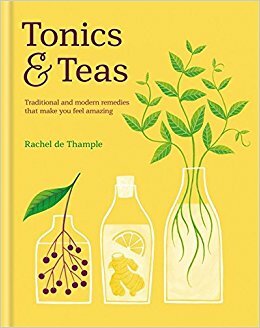 Her latest book, Tonics & Teas, was published by Kyle in September 2017.